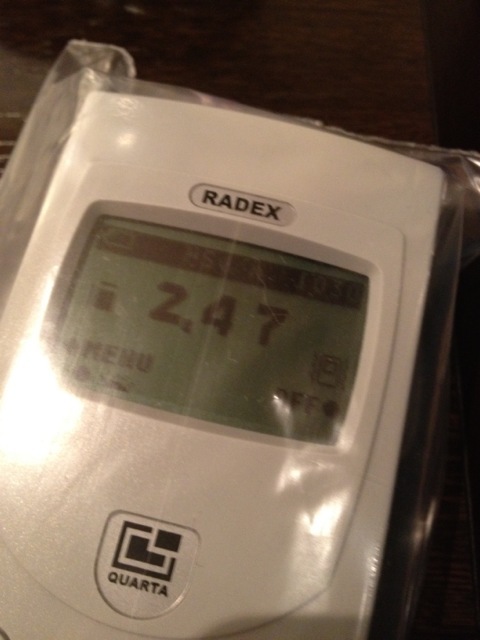 They measured 3.58 microSv/h in Shibuya, in an interior room. The person used SOEKS01M　Ver1.CL. After taking this video, it went up to 3.69 microSv/h. 1.38 microSv/h at 5cm away from a gutter. 2.47 microSv/h on the second story of an apartment.